This "Pleiades" or 7 sisters necklace is delicate, but remarkable. A familiar constellation that is visible from virtually every place that humanity inhabits Earth’s globe. Just think about that, something we all see, no matter where we are. Unity! 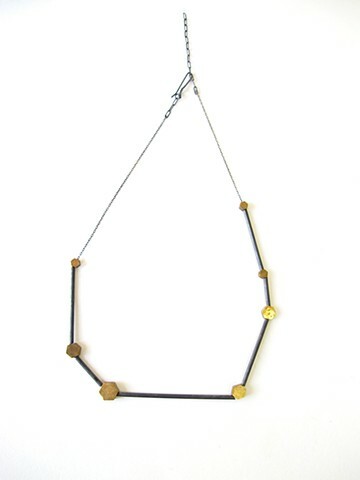 Oxidized sterling with hand-made brass hexagon beads symbolizing the stars.